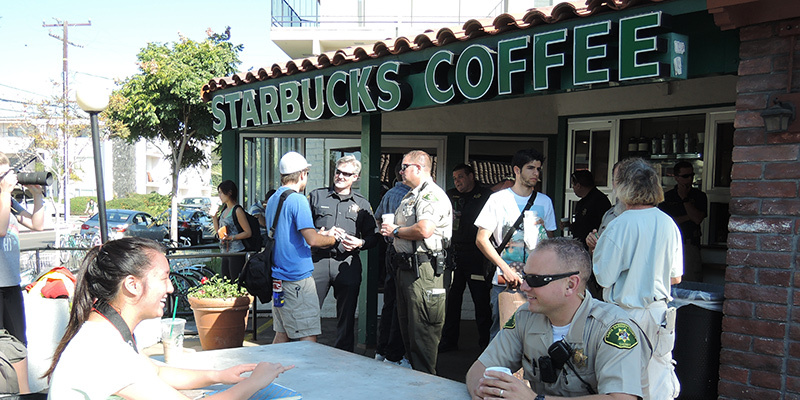 As a way for the public to get to know local law enforcement better and ask questions in a casual atmosphere, the Santa Barbara County Sheriff’s Office holds “Coffee with a Cop” events periodically at coffee shops throughout Santa Barbara County. 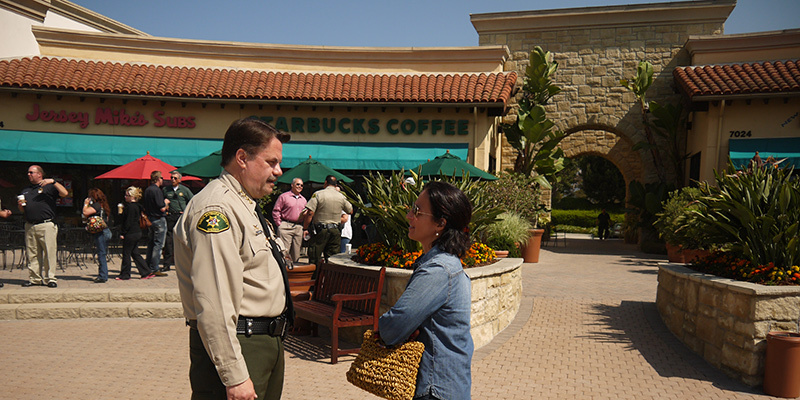 The gatherings are a great way for citizens to grab a cup of coffee and chat with one of several Sheriff’s deputies that serve their community. There is no agenda, no guest speaker and no power point presentation, just coffee and conversation. 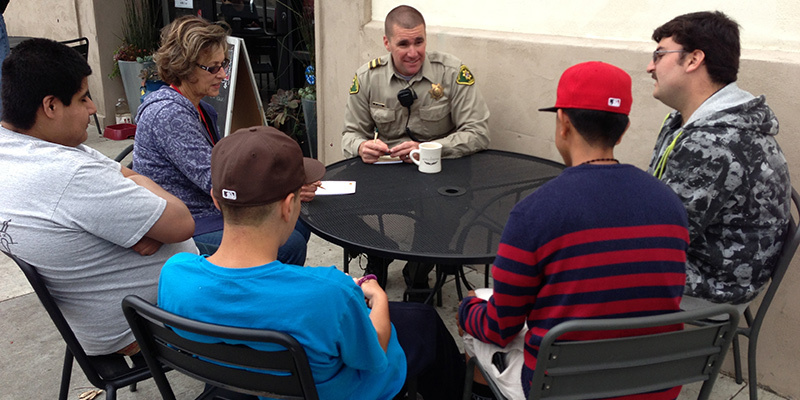 Coffee with a Cop is a national initiative that aims to advance the practice of community policing by opening communication and fostering a greater understanding between citizens and police. The idea is to provide residents with an informal setting to meet deputies that work in their neighborhoods and talk about their concerns. The goal is break down barriers, build lasting relationships and familiarize the public with people who are there to protect and serve them. 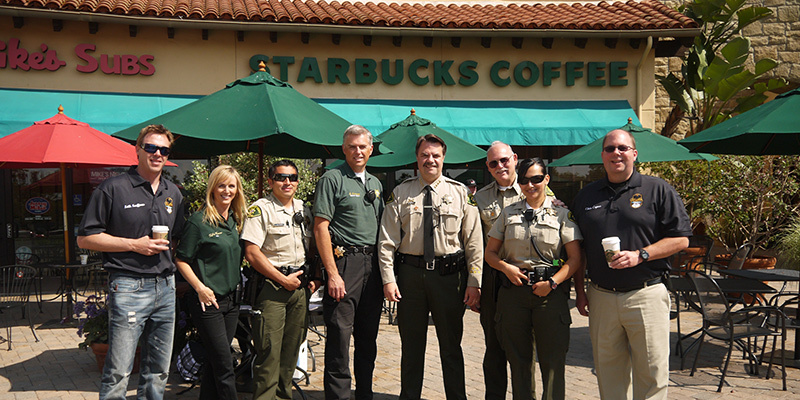 The Coffee with a Cop program was started in 2011 by the Hawthorne Police Department. Since then, more than 2,000 law enforcement agencies have participated in the community outreach program. 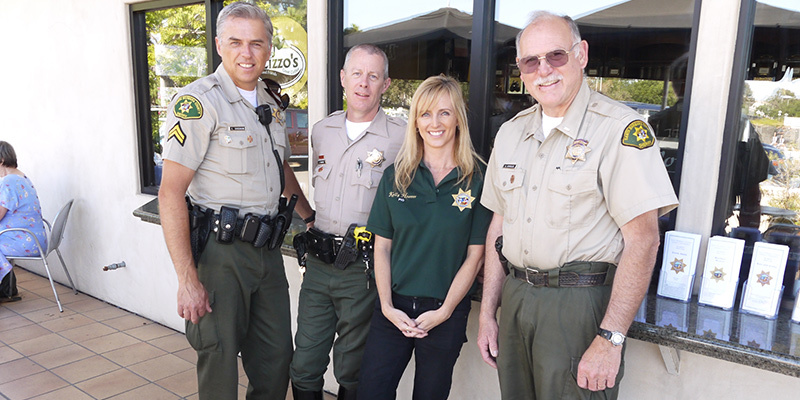 The Sheriff’s Office has been holding “Coffee with a Cop” events at various locations in the county since 2013. 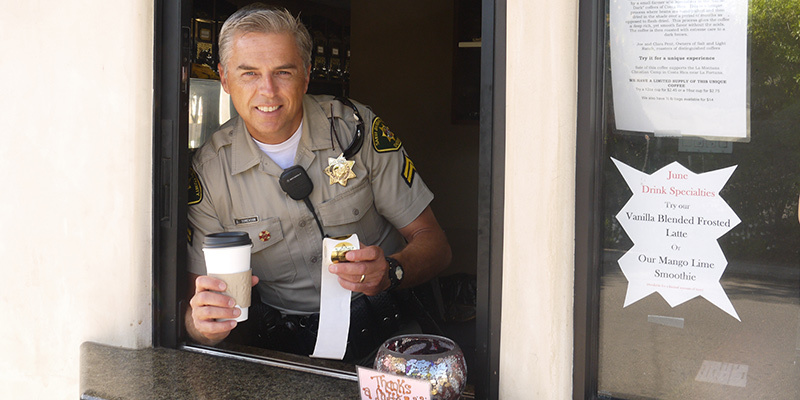 To find out when and where we are holding our next “Coffee with a Cop” event and for other Sheriff’s Office events, please sign up to receive our Nixle alerts and follow us on our social media platforms. 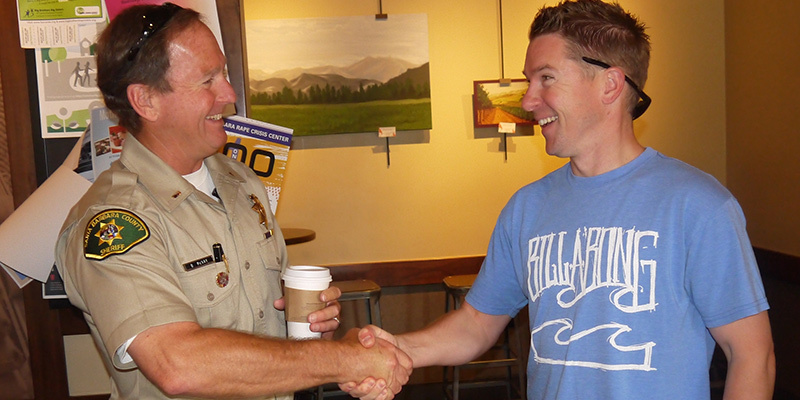 We will also post upcoming Coffee with a Cop events right here on our website.